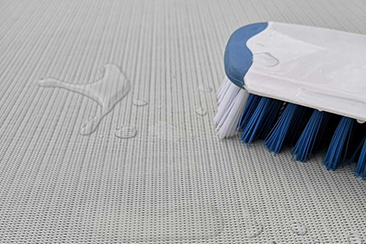 Like most Dickson® products, screen fabric is easy to maintain. 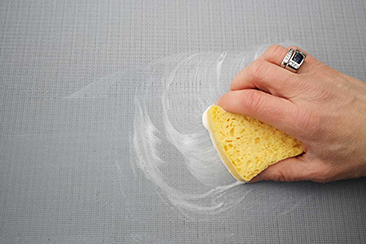 Fast and regular cleaning will ensure you keep your fabric for as long as possible. Conserve the visual qualities of your fabric by cleaning it regularly - at least once a year. Cleaning it more regularly, for example, once in spring and once in autumn, is faster and requires less effort, and allows you to maintain the look of your fabric throughout the year. Regular maintenance of your fabric makes it easier to clean. You are recommended to clean the fabric with a simple stream of clean water and to brush it with a soft brush. Do not use a high-pressure hose to clean your fabric. Leave it to dry in the open air. Never use powerful tools, strong cleaning products and chemical products on your awning. In order to benefit, if necessary, from our conventional warranty, you must follow all of these recommendations. 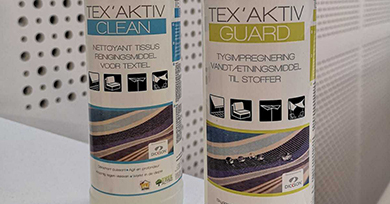 Use Tex'Aktiv Clean to deep clean the product. This product is a powerful stain remover that will remove the most stubborn stains.